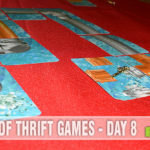 We’ve found so many great games at yard sales and thrift stores this summer that we decided to show you more than the typical one per week! During the previous 10 days we’ve introduced you to a Thrift Treasure that you’ve probably never seen or heard of before. For our last feature, we bring you Giant Dice by Child’s Play International. 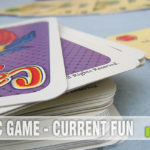 We hope you have enjoyed this mini-series of different games we’re found at our local thrift stores and yard sales. 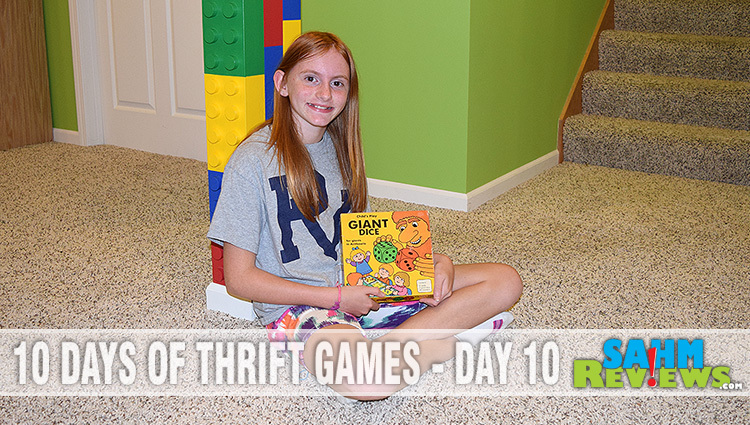 Our last game, Giant Dice, isn’t like any of the others and is more of an educational tool for young kids. Two oversized dice, four “cards” and a bag of tokens make up the contents of this game. Each card contains the exact same number, just arranged in different orders. This keeps the game even for everyone, regardless of age. In a unique twist, there are different sets of rules depending upon the age and ability of the player. Everyone’s goal is the same, be the first to create a row of 4/5/6 tokens before the other players. The length of your row is determines by the ruleset you’re using. The yellow area of the card represents addition and is meant for the youngest players. Roll both dice, add them together and place your token on the result. You only receive 10 tokens, so if you run out, you must remove one and put it in its new position. The second level add the green area to your play. You can still add the two dice and play in the yellow area, but to play in the green section you must subtract the dice from each other. The third level adds multiplication to the mix. Same theory, now you must multiply the dice together to get the results in the blue section. The last and most difficult option is division. 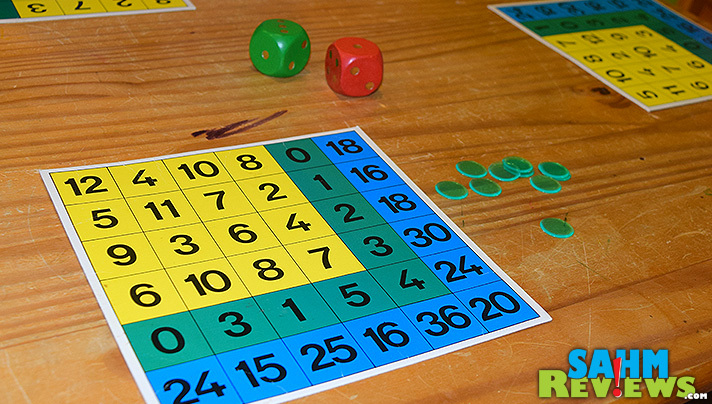 When you roll, you add the total of the dice and then find any two numbers anywhere on the board that when divided, gives you the result on your dice. Example – roll a 2 and 6. Their sum is eight. 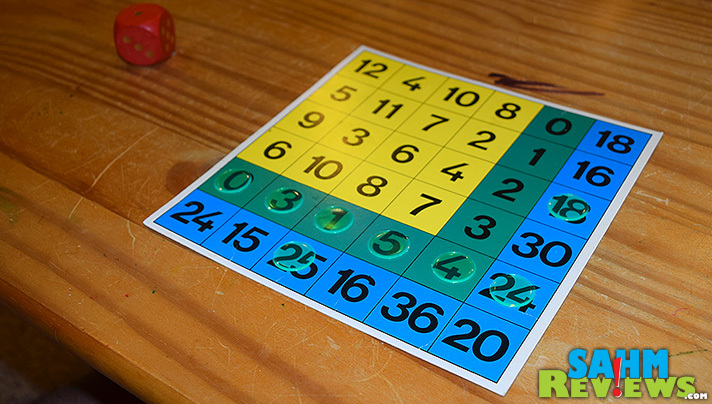 You can then place two tokens on 24 and 3 (24/3=8). Rated for ages 5-15, Giant Dice is obviously not a difficult game to learn or play. 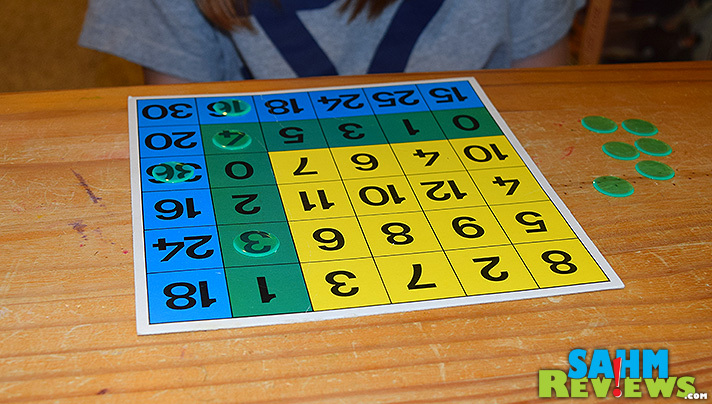 Since we’re in the middle of summer, it made for a good refresher course for our girls (it has been over a month since they’ve practiced any type of math skills!). Made in West Germany and distributed mainly overseas, this is one game that is probably best purchased directly from the manufacturer. Their website claims it was first published in 2003, but that must be for the current artwork. Our copy is from 1981! Old school games! What a pleasure. My boys would love to play this. Great idea. 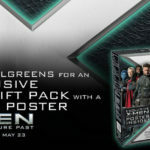 I love that it is oversized! I know my kids would love this, especially my mathaholic son! What an awesome find. It is also in mint condition. My daughter would love this! As I age. Giant dice would be nice to have. That way I could see them. LOL… don’t get old. 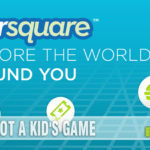 This game looks like a fun way to learn math.